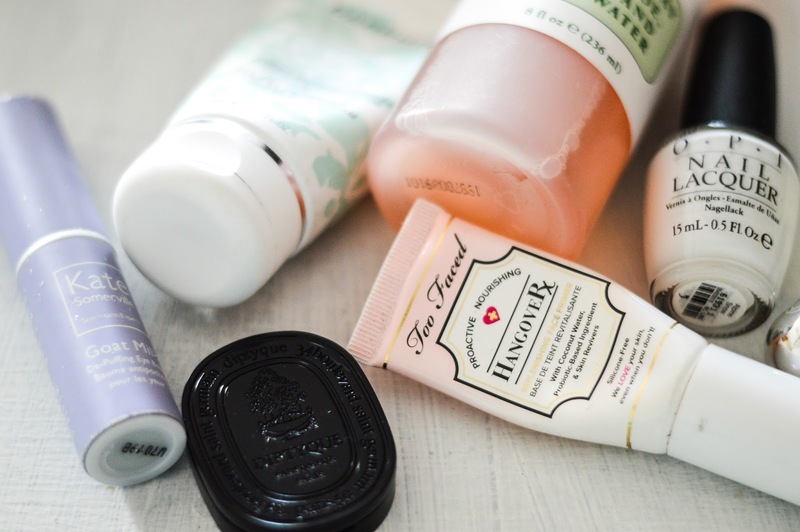 When I started on this blogging journey, my knowledge of ANY sort of beauty related products was extremely slim. I picked up a few things from friends in college, and from my mom working at Saks, but I never really had strong preferences. Along this adventure, I have discovered some tried and true products that I keep in my purse at all times. 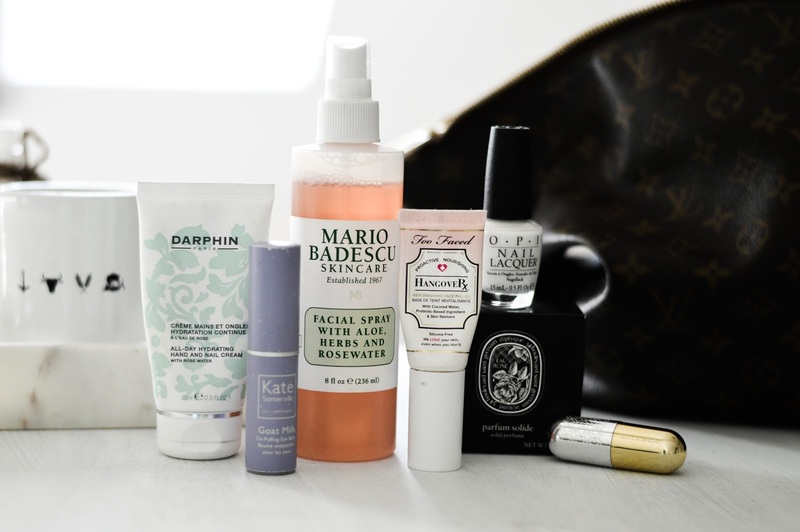 Some, like Kate Somerville’s Depuffing balm, I first discovered from brand collaborations and have continued to use and others like the Too Faced Hangover Primer, I have learned from Cath. 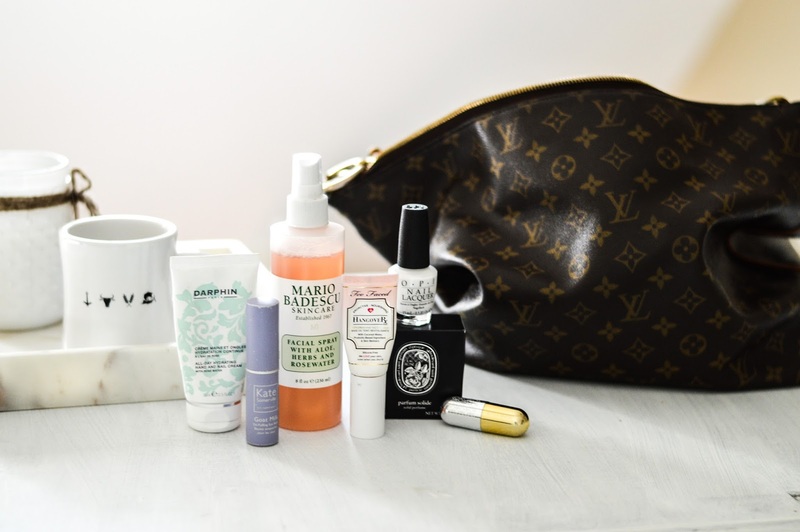 In any case, here are the 7 products you can find in my purse on the reg. Darphin All Day Hydrating Hand and Nail Cream – I received this from Darphin during a collaboration and it has been a favorite ever since. It seriously makes my hands so incredibly smoothe and the light rose water scent is so delicate. 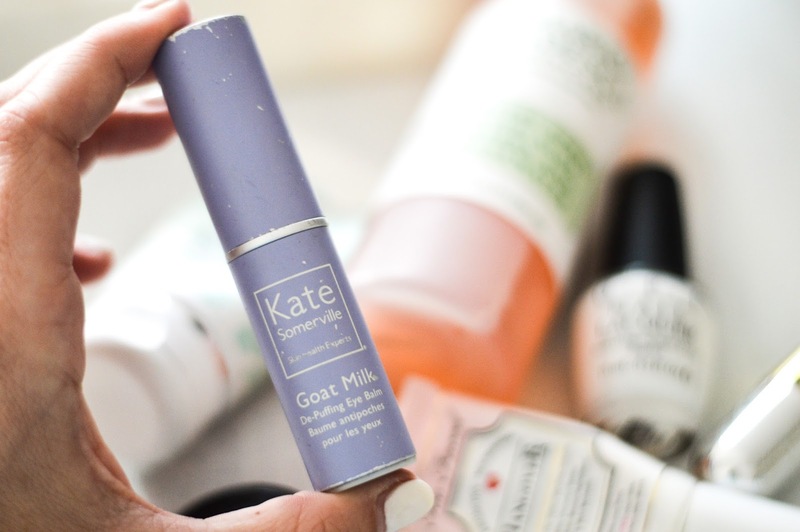 Kate Somerville Goat Milk Depuffing Eye Balm – I also discovered this from a brand collaboration, but man is it a miracle worker. Its tingling sensation wakens the senses and you can say goodbye to tired eyes! Mario Badescu Facial Spray with Rosewater and Aloe – This one is a new addition to my collection. For years I used this Rosewater and Glycerine spray (still Cath’s favorite) but I recently decided to try this one out. So far so good but we’ll see when it runs out if I go back to the old faithful or keep up with this new one! Too Faced Hangover Primer – Even on mornings when I’m not putting on a full face of makeup (let’s be serious, most mornings) I like to use this. The coconut water hydrates the skin and it makes you feel refreshed even on the most tired mornings. OPI Alpine Snow – Although I have gone back to getting gel or dip manicures, for some reason I still keep this in my purse in case of emergency. I can thank Cath for this one as well, she started my addiction to white nails! 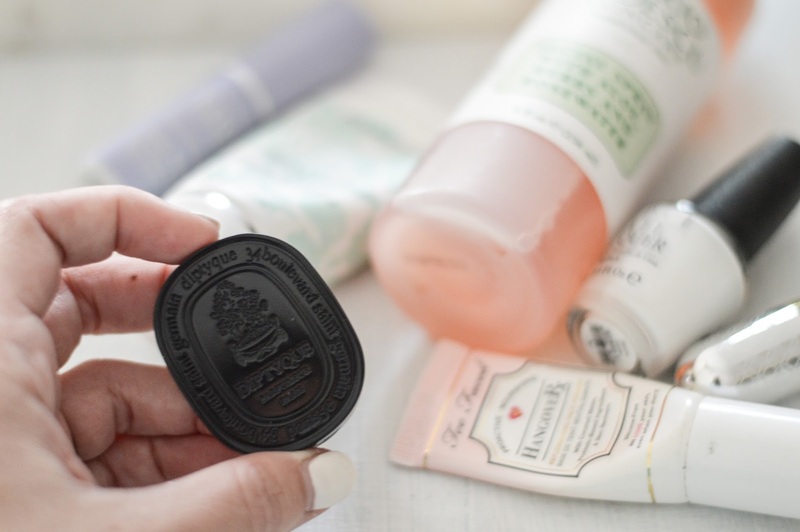 Diptyque Eau Rose Solid Perfume – This amazing scent is a recent addition to my collection, thanks to Octoly and I love having it on hand whenever I travel. Much easier to have on the go than a full sized perfume bottle! Winky Lux Velour Lip Color in Meow – This is officially my new favorite matte lip! The brand sent it to me a couple weeks ago and it has been my go-to ever since. What do you guys keep in your purses? Any faves that I need to know about? !